Academic research has often cast doubt on the value of real estate agents, but a new study will come as music to their ears. It suggests that homeowners will net roughly the same proceeds whether they sell through a real estate agent or take the FSBO (for-sale-by-owner) route. 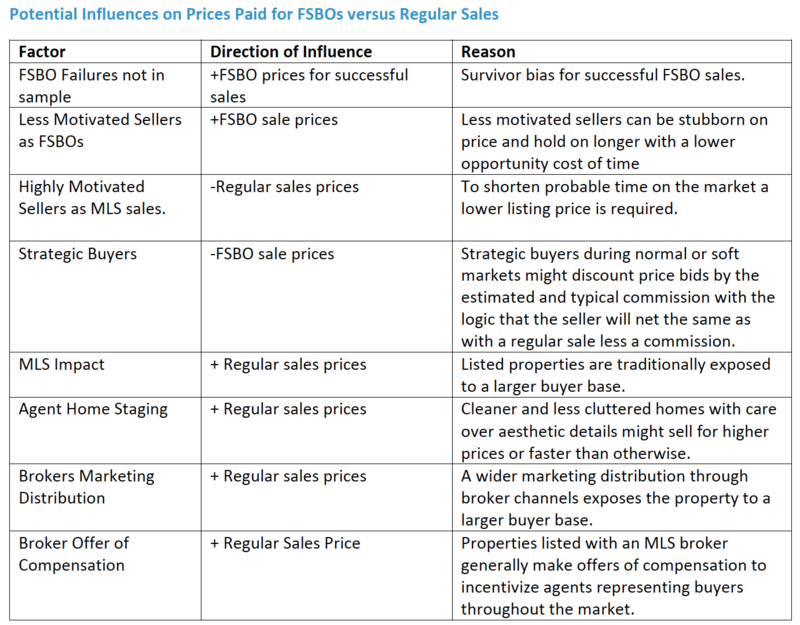 That’s because agents tend to achieve higher sales prices for properties than comparable FSBO listings — enough to offset their commission fee, according to an analysis released by automated valuation model (AVM) provider Collateral Analytics. This makes a strong case for hiring an agent, considering that agents allow homeowners to reduce the work, risk, and time of selling a home, said Dr. Michael Sklarz, the CEO of Collateral Analytics and a co-author of the study. They found that on average, FSBO listings sold for about 5.5 percent less than comparable properties sold through the MLS, with FSBO listings tending to sell for a little less than their automated valuations and MLS listings tending to sell for a little more. The valuations were generated by Collateral Analytics’ software. When they controlled for property characteristics in two other ways, the authors uncovered a similar price differential. The 5.5 percent differential “is remarkably close to average commission rates,” the authors noted.